detached bungalow! 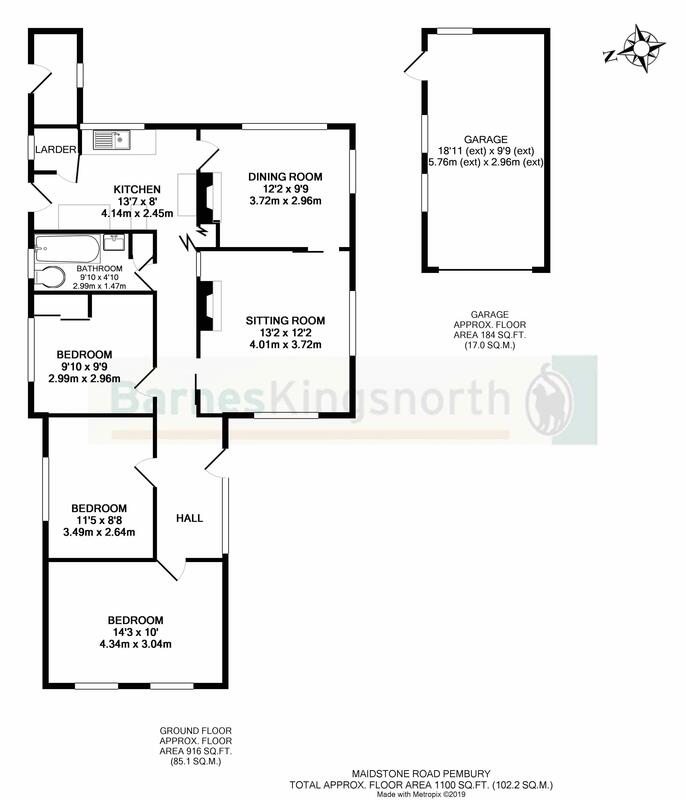 This 3 bed property has so much potential for you to create your ideal home! There's plenty of driveway parking to the front as well as a detached garage. The large rear garden is a gardener's delight with patio area, lawn, many plants and shrubs, and backs on to the orchards behind. The property has been well-maintained but would now benefit from some cosmetic updating, comprising: Entrance hall, 3 bedrooms, sitting room, dining room, bathroom and kitchen overlooking the garden. There is no onward chain so view soon to avoid disappointment.....These properties do not come on the market very often!